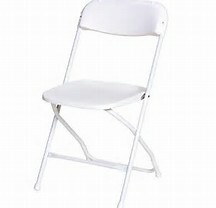 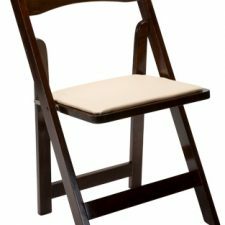 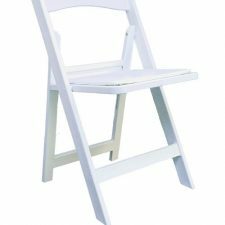 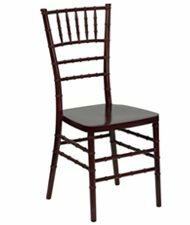 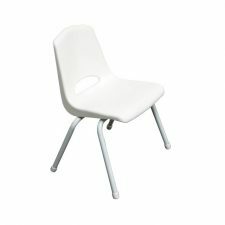 A polypropylene chair with a metal frame which stacks & is easily transported but also very comfortable. 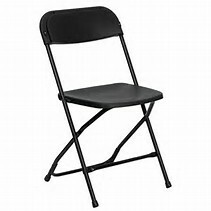 The black color is very classy. Has a bar between the back legs to prevent sinking in grass.